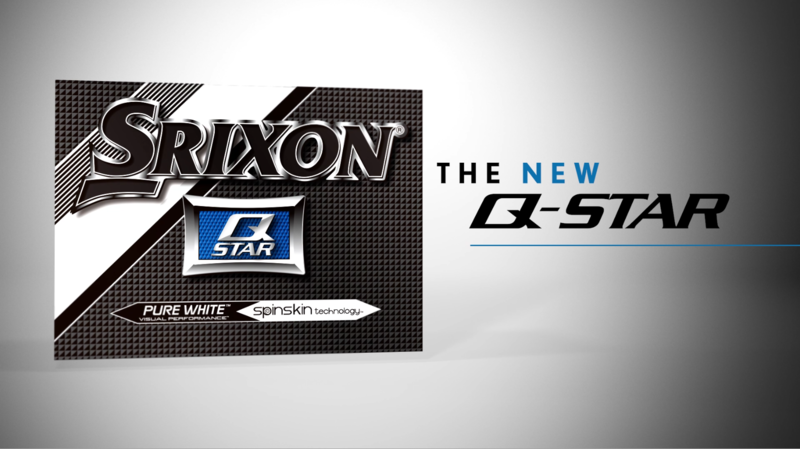 To see Srixon's Q-Star Golf Ball Video, Tap/Click the "Play" button or view full-sized video in a new tab . Video courtesy Cleveland/Srixon Golf. Srixon's Marathon golf ball is engineered with a highly resilient ionomer cover in 2 piece construction for maximum distance. Maximum soft feel on any shot from tee to green. High launch trajectory for maximum carry and distance. A good choice for golfers with lower club head speed. Srixon's Soft Feel Lady golf ball is a 2-piece ball designed to give ladies with lower club-head speeds more distance. The Soft Feel Lady has a super soft dual core and soft resilient cover for a soft feel on any shot from tee to green. The Lady features an aerodynamic 328 dimple pattern to help you get a higher launch trajectory for more carry and distance. Srixon's Z-Star XV is designed for higher swing speed golfers that are at least better player golfers and are currently played by several tour level golfers. Both the Z-Star XV and the standard Z-Star yield exceptionally long distance off the tee, excellent spin around the greens, and have a soft, but durable, feel. The Z-Star is a three-piece, 90 compression ball designed for golfers with swing speeds of 88 to 108mph. The four-piece Z-Star XV registers a 105 compression rating and is designed for tour-level swing speeds greater than 105 mph. North Iowa Golf stocks or will order Srixon Golf Balls in all popular models. Stop by North Iowa Golf and check out our full line of Srixon Golf Balls today!